Welcome to Beginning Paper Piecing! Have you always wished that you could make beautiful 8 point or 16 point stars? Paper piecing is the answer. You will get beautiful points every time! All you need to know beforehand is how to stitch a straight line. You will learn to make one 8 point star in this class. Helen will also give you tips to create your own designs. Helen will have finished pieces in class for ideas. 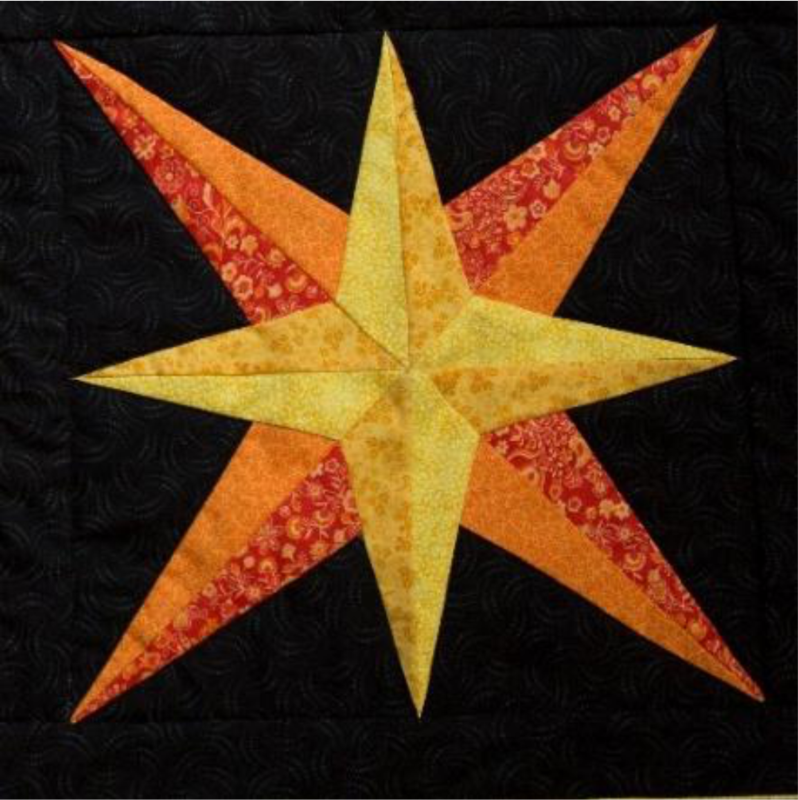 The stars can be duplicated to make a table runner or quilt. Keep that in mind as you need to have enough fabric to finish it later. We will have a kit for each student with the preprinted patterns for the 8 point star be used in class. Fabric measurements are given in inches. Please try to pre-cut your fabric to allow for sewing time! Please arrive at 9:45. Class starts promptly at 10:00, as we have a lot of sewing to do! Students must have a strong knowledge of their sewing machines.